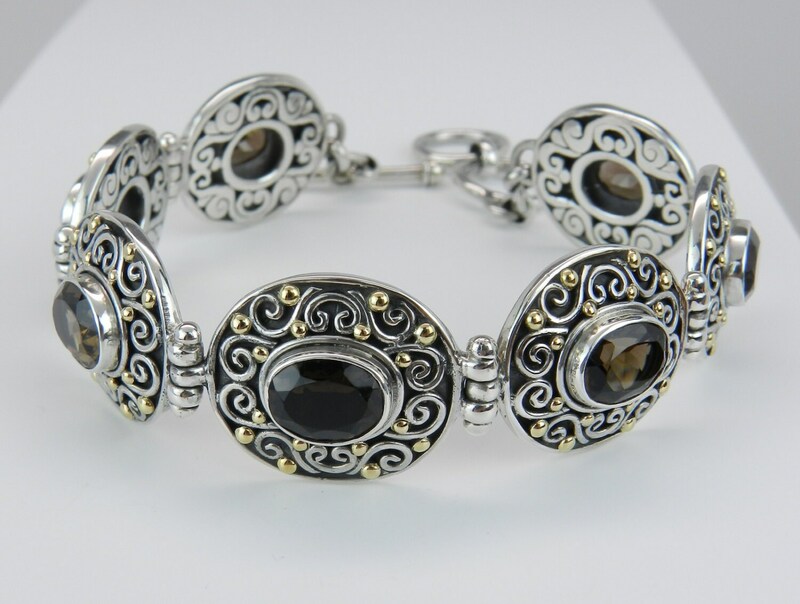 This unique Bracelet is made Sterling Silver and 18KT Yellow Gold. 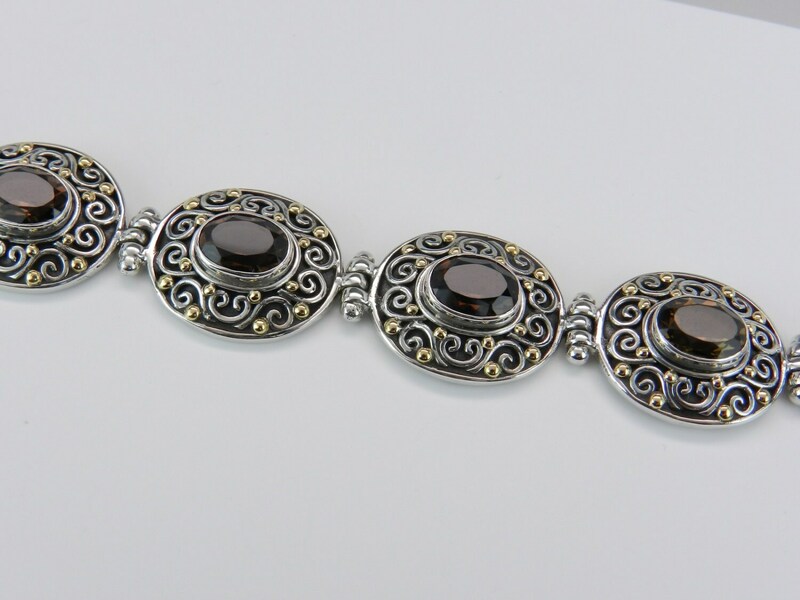 There are seven genuine Oval Smokey Topaz set throughout this bracelet. 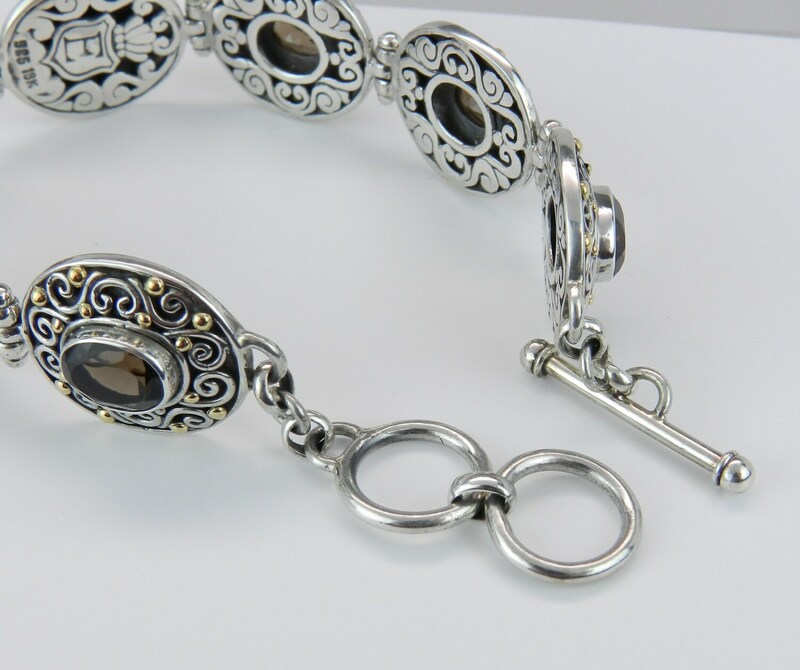 These Smokey Topaz measure 10 X 8 mm each, are a brown color and weigh a total of approximately 14 carats. 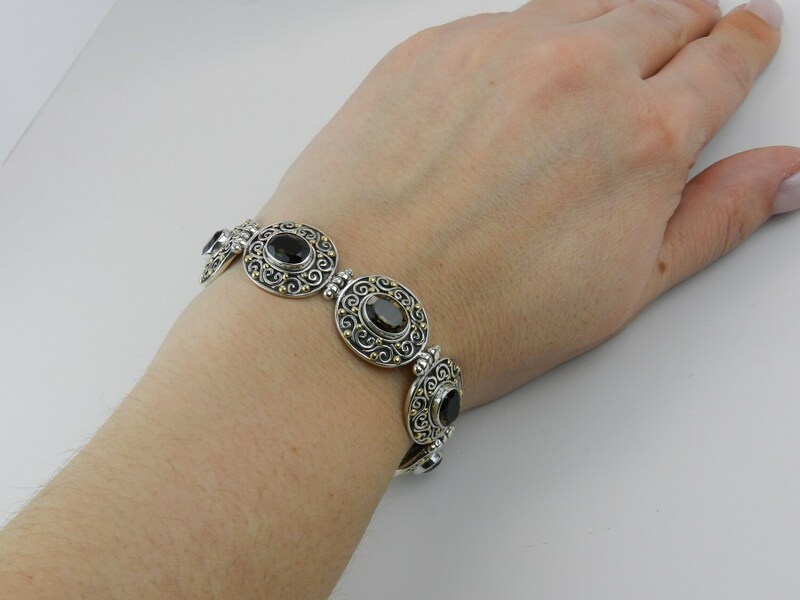 This bracelet measures 17.5 mm in width at its widest link and weighs 39.8 grams. 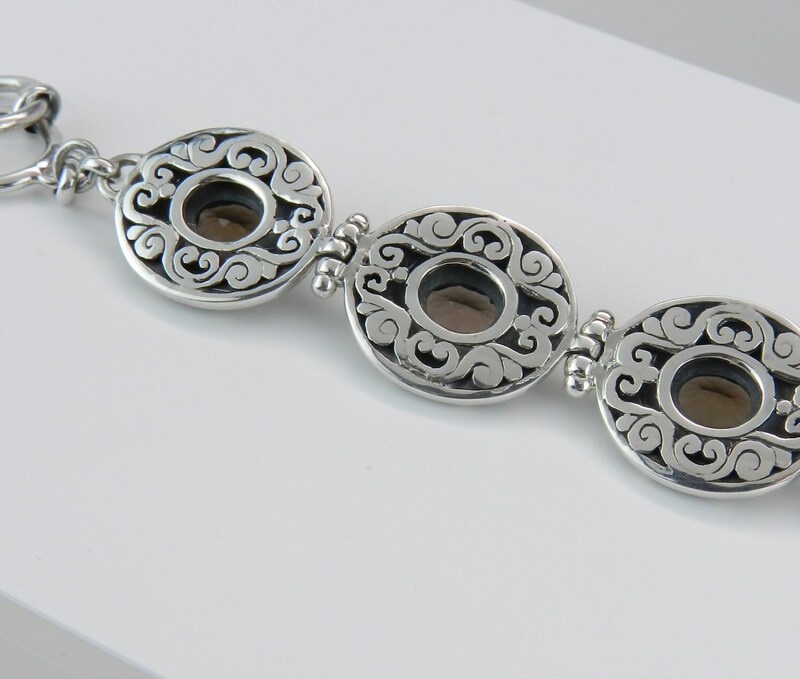 This bracelet will fit an 7 1/4 to an 8" wrist and has a slightly adjustable toggle clasp. 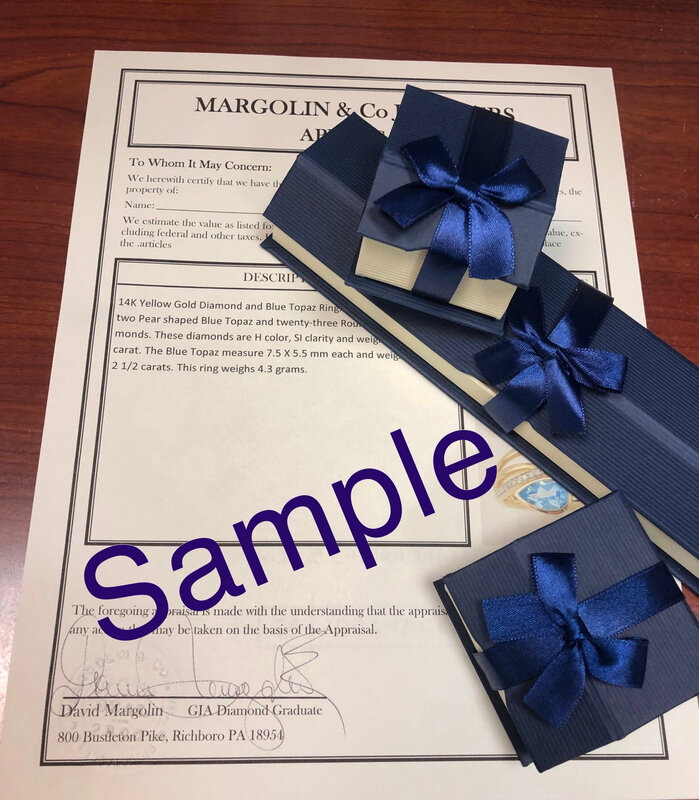 This bracelet will be shipped promptly in a beautiful gift box.